Cyber crime is rising at a disturbing rate in Australia and it’s clear that many people still don’t take it seriously. Australians on the whole don’t seem to feel that they are at risk of cyber crime, and therefore don’t take the necessary precautions to protect themselves from attack. However, over six million Australians fell victim to some form of cyber crime in 2017, which is a 13% increase from the previous year! That’s more than one third of the adult online population. 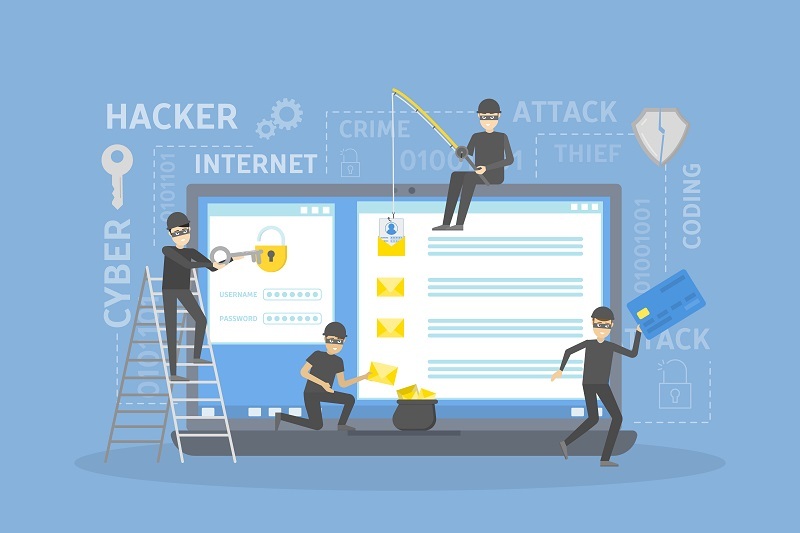 At the heart of it, cyber crime is a crime where computer or information communications technology form an integral part of the offence, or crimes directed at computers or other technology. This includes phishing scams, online fraud or identity theft, hacking or distributing illegal content. Literally anyone can fall victim to this type of crime, Boomer or Millennial, individual or business. How will cyber crime affect me? Let’s put it this way. Hackers made away with $2.3 BILLION in total last year. That amounts to about $195 per victim. Maybe that’s a measly amount to you, maybe it’s not. But many victims would have seen a greater loss than that. Don’t make the mistake of thinking you have no information valuable to hackers. With enough identifying information about you, attackers can exploit this knowledge to gain access to systems they otherwise could not. This could include your financial information, your business network, or your government identity. Not taking cyber crime or identity fraud seriously is a real factor here. If you don’t take cyber crime seriously, then you don’t take the right precautions. We’re not talking about extreme cyber security measures, a lot of it comes down to common sense. You are far more likely to be a target if you a) use the same password across different accounts and devices, and b) share your password with others. Simple things like logging out of your account when finished can help reduce risk. Be wary of logging in through public networks and be hyper vigilant about suspicious emails and phishy links. How do I avoid falling victim to cyber crime? We mentioned some steps you can take above to reduce your risk of being a victim. However, there are multiple things you can do to avoid being hit by cyber crime. You should always use security software on your PC, and your mobile devices should always have a PIN or password, and enable fingerprint ID if you have it. Never share your password with others, utilise different passwords for different accounts, and change your passwords on a regular basis. Take care with your online identity as much as you take care of your driver’s licence, Medicare card and passport. Passwords and online habits give away so much more than just your Facebook account, so take care. If you having trouble working out the best way to approach cyber security, check out our Cyber Security Guide for Small and Medium Businesses.